“It seems like kids do everything online these days – and school is no exception. More and more, educators are taking advantage of digital advances to supplement their teaching in the classroom, and are seeing encouraging results. This is especially the case for certain subgroups of students that typically struggle academically, such as English language learners and special education students. Lindl says the SimCityEDU game helps engage kids by helping them improve basic cognitive functions and critical thinking. In the game, students serve as the mayor of a city and are immediately faced with challenges – they must address environmental impacts on the city while maintaining employment needs and other relationships. Although Lindl says it’s important to use games as a supplement to classroom-based learning, such digital outlets have added benefits. 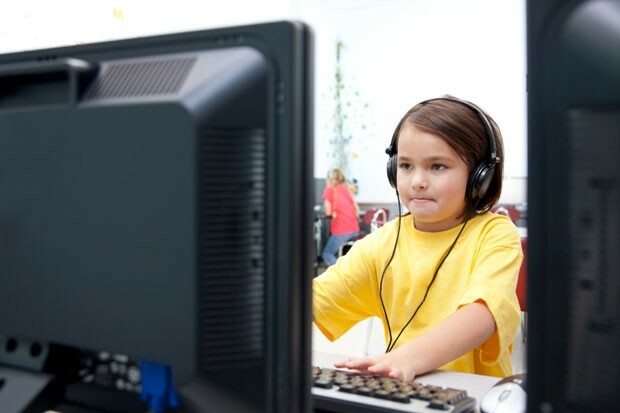 Additionally, video games in the classroom provide teachers, administrators and parents with a plethora of data to give assessments on students’ performances that Lindl says is invaluable, not just because of the granularity of the data, but also because it shows student achievements in real time. Other times, parents and students may have to wait weeks or months, depending on the test, to see their results. Another valuable aspect of using games in the classroom is the competition (and hence reward) mechanisms built into some games. Posted on January 29, 2014, in games in school and tagged bideo games, Education, Educational games, engagement, First in Math, Game based learning, Games and Learning, Glasslab, learning, SimCityEDU, struggling students, Umana Academy, Video game. Bookmark the permalink. Leave a comment.